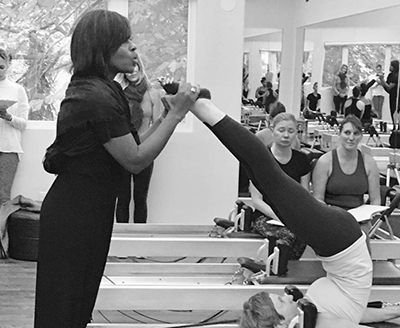 The Pilates studio opened its doors in 1994 as the first pure Pilates studio in the Benelux and has and gained international recognition as a Teacher Certification Center of the pure Pilates method. In the year 2000, The Pilates Studio expanded with a second location in Rotterdam. The studios and the highly skilled trainers collaborate with the Dance Academy Rotterdam, The Royal Conservatories in Den Haag, Danceworks in Rotterdam and various other organizations and celebrities. Did you know these men did pilates ? Max Schmeling became world champion of Boxing after training with Joseph Pilates. Tiger Woods practices Pilates to finetune his swing. Kobe Bryant protects his back and knees with Pilates. 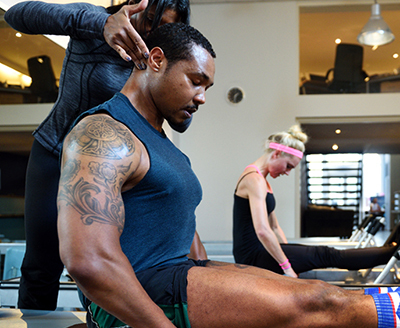 What are the benefits of Pilates ? Did you know that the pure Pilates method does not only exist out of Mat exercises ? We use over 500 exercises and spread them over several pieces of equipment, depending the needs of the individual body types. Our Teachers are all qualified to tailor the session to each individual and are experienced to work hand in hand with doctors and physio therapists. New Year Special 303 Euro! The Pilates Studio opened its doors in Den Haag in 1994. It was the first Pilates studio in the Benelux. A second studio was opened in Rotterdam in 2000.